Atlanta’s household names such as Tyler Perry, Idris Alba, Dwight Eubanks and Gabriel Hart are all BEFFTA Nominees. Movie Producer, Actor and Director, Tyler Perry; has received three nominations as Best Film Actor; Best Film Producer and Best Film Director, while his film ‘For Colored Girls Only’ is nominated as Best Film and three actors and actresses from Tyler Perry’s TV sitcoms are nominated for Best TV Actor and Best TV Actress, respectively. In addition, British born prominent Hollywood actor, Idris Alba has been nominated as Best Film Actor, while Celebrity Hair Stylist from Atlanta’s most popular reality TV show, Housewives of Atlanta, Dwight Eubanks also has three nominations as Best Celebrity Stylist, Best Hairdresser and Best Makeup Artist. Atlanta’s popular video director, Gabriel Hart has been nominated as Best Video Director. And Leolah Brown, (Bobby Brown’s sister) who has been nominated as Best Motivational Author/Speaker launched her new book “My Journey to God” at the Nominations Night held on 15th January, attended by several media houses in Atlanta. The BEFFTA Awards will debut in Atlanta as part of the USA Black History Month and will feature will feature POSITIVE RUNWAY: Global Catwalk to Stop the Spread, a voluntary global HIV/AIDS response campaign that tours the world working with beauty queens, models, fashion designers and celebrities from film, music, television, sport and other arts as effective advocates for the young generation in the fight against the spread of HIV/AIDS and to sensitize the public against other scourges affecting today’s young generation such as child trafficking, drug and substance abuse, gun and knife violence etc. 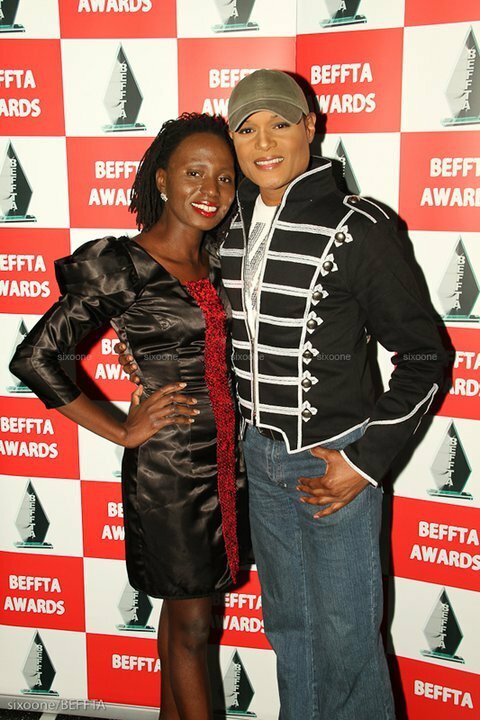 The BEFFTA Awards is a prestigious red carpet, black tie international event and a distinctly special Awards Ceremony honoring the best entertainment and showbiz personalities in the black and ethnic minority community in the UK, USA and globally. It is also the first Award Ceremony rewarding the outstanding contributions in all areas of entertainment, film, fashion, television and the arts by celebrating and recognizing both the well known and the unknown hidden talents in the industry, under one roof!